He was born in Pukekohe (south of Auckland), New Zealand, and attended Auckland University College (part of the University of New Zealand) from 1912 to 1916, graduating with BA and MA degrees with Honours in Chemistry. During World War I, despite severe deafness, he saw action in France with the New Zealand Expeditionary Force, and lost his left leg in February 1918 to a British shell. While convalescing he started using a mechanical calculator and went on to modify commercial calculators for specific projects. He was the first director (1920–1922) of the Computing Section of the British Astronomical Association. In 1923 he received a PhD from St John's College of the University of Cambridge. He traveled to the USA to teach at Swarthmore College and then Northwestern University in 1924 where he pioneered the teaching of numerical analysis. He returned to England to join HM Nautical Almanac Office at the Royal Greenwich Observatory where he became deputy superintendent in 1926. In April 1928 his article On the Construction of Tables by Interpolation described the use of punched card equipment for interpolating tables of data, comparing this with the less efficient and more error-prone methods using mechanical devices such as the pinwheel calculators under the Brunsviga brand name. Also in 1928, he was the first to use punched card equipment for scientific calculations, using Fourier synthesis to compute the principal terms in the motion of the Moon for 1935 to 2000 improving the predictions of Ernest William Brown. 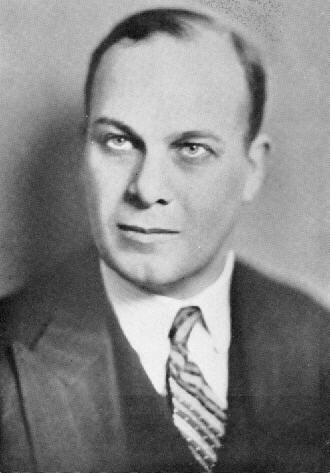 Wallace J. Eckert, an American student of Brown at Columbia University would in turn use the vast resources of IBM Corporation to improve on the predictions even further. He was promoted to Superintendent of the Nautical Almanac Office in 1930. However, his unconventional use of machines for calculation caused tensions with his superiors, and he was suspended in August 1936. He founded the world's first private company for scientific computing, incorporated as Scientific Computing Service, Limited in 1937. During World War II he headed a team of 30 scientists to computerise war work, such as the creation of bombing tables for the Allies of World War II. Later he computerised British football pools. After the war he visited the USA and New Zealand in 1948, and was elected a Fellow of the Royal Society of London in March 1950. He is also remembered for his work in astronomy, publishing both scientific and poplar articles on subjects from predicting eclipses to the green flash. A lunar crater (23.3N 112.7W) and an asteroid, 3521 Comrie, bear his name, as does the computer lab at his alma mater, the University of Auckland, named on the 50th anniversary of his death. He is an author & co-author of many works on calculating astronomical events, which include, but are not limited to, “The Application of the Hollerith Tabulating Machine to Brown's Tables of the Moon” and "The Computation of Total Solar Eclipses".